New England | Learning, Laughter & Light! You are currently browsing the tag archive for the ‘New England’ tag. The New England Holocaust Memorial in downtown Boston. While concentration camp survivors recently marched to the New England Holocaust Memorial, they interrupted a birthday picnic. The dozen or so little girls camped out on a blanket must have been surprised to see a parade trudge by them, some of the visitors wearing yellow stickers saying “JUDE.” No doubt, Boston Mayor Tom Menino and Gov. Paul Cellucci were not recognized by the party – just two more serious grown-ups walking toward the glass towers looking really, really sad. The young mother in charge of the girls had staked out a prime piece of real estate. Nice grass. A wall of finely pruned shrubbery to give the kids some boundaries. It’s the perfect place to blow out the candles, sing “Happy Birthday,” and open presents. And that’s what they did. Overwhelmed by the mass of people, the girls stopped screaming and playing tag moments before the Mourner’s Kaddish. They meant no disrespect. At six or seven years old, they’re at the lucky age when Nazis and genocide and torture don’t exist. Then my brain shifted to Eastern Europe. Last summer, my wife Stacy and I traveled to my grandmother’s ancestral hometown of Bialystock, Poland. We were visiting the memorial to the Bialystock Ghetto Uprising, a modest sculpture on the site of several mass graves. The ghetto is now a park. The graves themselves are fenced off, but it is a place where Poles walk their dogs and lounge on benches. Some boys were kicking around a soccer ball, which strayed away and landed at my feet. They smiled at me. I smiled at them and kicked the ball back. I remember appreciating the moment as a fun cross-cultural exchange, the same amusement I might get from “participating” in a game in a village in Mexico or Thailand. For a few seconds, I forgot where I was. If, at the scene of the Holocaust, I had trouble focusing on what happened there, why should I be surprised that a woman in Boston is not making a connection? McDonald’s is across the street. The jugglers and magicians at Faneuil Hall are a few steps away. The benefits of having a Holocaust memorial in a heavily traveled tourist spot are obvious: People who never think about genocide are encouraged to confront humanity’s evil. Perhaps that is worth stomaching a few insensitively placed shopping bags or reckless skateboarders. To the woman who planned her daughter’s birthday party at the Holocaust memorial, the meaning of Auschwitz is not obvious. The meaning of Nuremberg is not obvious. She needs to be either reminded or informed for the first time before she enters the park. So do a lot of us. 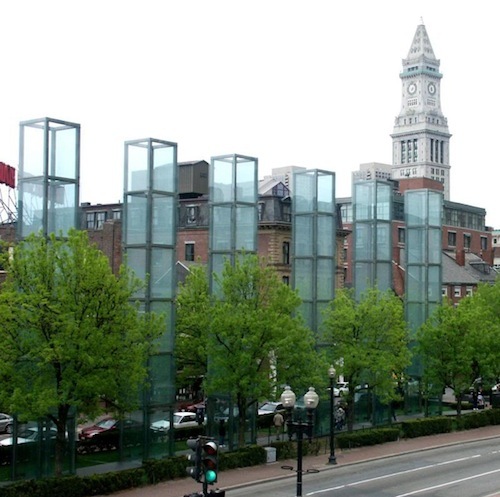 We cannot force respect at the New England Holocaust Memorial. But we should at least be demanding it. This blog is dedicated to preventing another generation from dreading Hebrew School. I seek to exchange stories, ideas and tips with other parents, teachers and everyone who shares my love for Jewish history, culture, spirituality, arts, and Israeli produce. 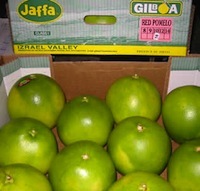 Care for a pomelo, anyone? So what is the appropriate age to teach children about the Holocaust?